My youngest daughter was recently in a dance recital. I took so many photos but this one stood out to me. I snapped this photo of her backstage after she put on her costume. She was sitting there looking so sweet and excited to perform. She wasn't nervous at all. 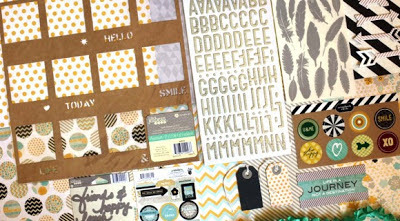 I used the Scrapbook Circle July "Let's Chat" kit, which is full of Crate Paper, Fancy Pants, Jillibean Soup and Scrapbook Circle EXCLUSIVES, like stickers, tags and more! I got the add-on too 'cause I just had to have the 6x6 paper pad, flair and mask. Check out preview of the kit below and go scoop one up before they are gone! Isn't she just so cute? Yes, I know I am biased! I pulled the title from a song again and layered paper, tags, stickers and more. I did add some black glitter paper that my friend gave me so it's not in the kit but I just had to use it! I cut strips to journal on and faux stitched around one of the layers. Lots of foam dots and stickers and borders here. Thanks for stopping by today. 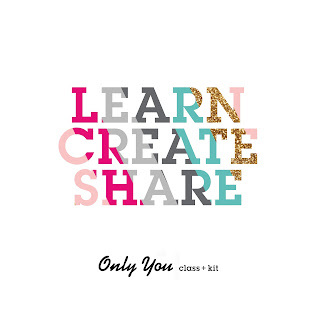 Don't forget to head over to Scrapbook Circle to get more info on this kit and check out the Idea Gallery to see what the design team has created with it. It is soo fun to create with! this turned out TOTALLY GORGEOUS! I love the pops of mist and that picture--she is a DOLL! 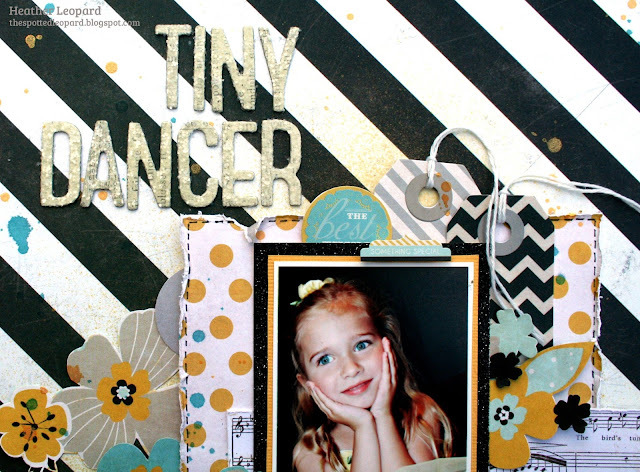 Such a sweet photo and I love how you mixed all of the different products from the Kit, Heather! This is delightful! Love the striking colour combo and patterns!!! How beautiful she is and how gorgeous this is! The black diagonals and pops of color are striking!! This looks fabulous! Your daughter is so sweet! Love the patterns you used.